NEW YORK (WABC) -- Fisher-Price on Thursday announced it was recalling about 34,000 infant cradle swings due to the potential for the seat to fall. --CMR43 Sweet Surroundings Butterfly Friends Cradle 'n Swing. The swings have two different swinging motions -- rocking side-to-side or swinging head-to-toe -- and six different swing speeds from low to high. The product number is located on the seat under the pad. Fisher-Price said it had received two reports of a seat peg coming out from the seat, causing the seat to fall. No injuries have been reported. 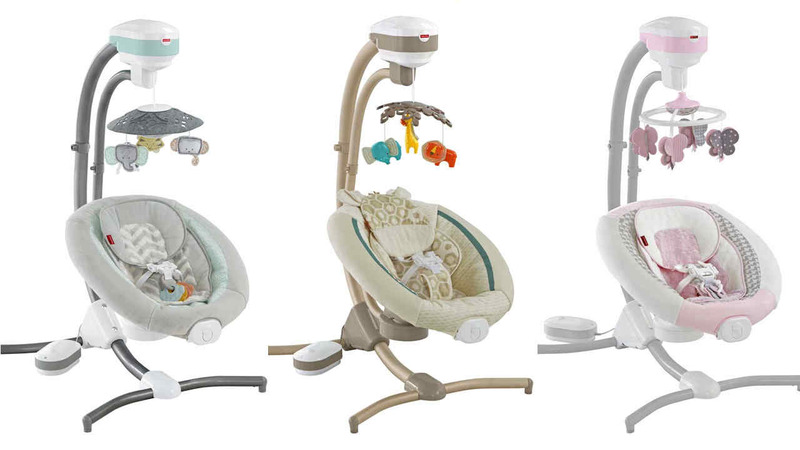 Consumers should immediately stop using the recalled cradle swing and contact Fisher-Price for revised assembly instructions. The products were sold at buybuyBaby, Target and other stores nationwide and online at Amazon.com and other websites from November 2015 through March 2016 for about $170. CLICK HERE for more information from Fisher-Price.